Yom Kippur ended today at sunset. I didn't fast. I'm not Jewish, but I think the idea of taking a day to fast and think about the mistakes you have made for the past year is not a bad idea. 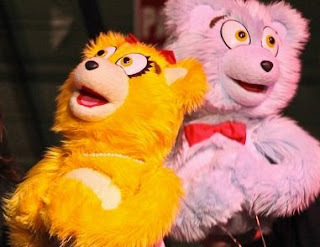 The Bad Idea Bears - Thanks, Avenue Q! Probably the biggest thing I should atone for this past year is Gluttony. One of the seven deadly sins. And I think it's safe to say that it can literally kill you. That, paired with my other big one, Sloth - they have been to my detriment in a big way this year. I know better, now it's time to do better. I regret that I haven't seen much family this year. I need to rectify that in the coming year. I am sorry for not putting my home in better order, I will use the coming year to turn my home into the calming, welcoming sanctuary that I want it to be. And I feel bad about my anger. I will work to focus my energy more positively. Of course, I will keep petting my dog as much as possible, take the best care of my loved ones I can. And of course, that includes better self-care. Most of all, I'm going to stop apologizing when it's not called for. Sorry, not sorry. That's plenty to work on for the next 12 months. There's a Jewish guy in my writing group and we talked a bit about Yom Kippur or, as he calls it, "the one day a year when I have to be a good boy" which is very funny to me. The atonement and reflection are the most important aspects of the holiday but it's also a time of absolution which appeals to me. Don't forget the past but don't let it hold you back either.